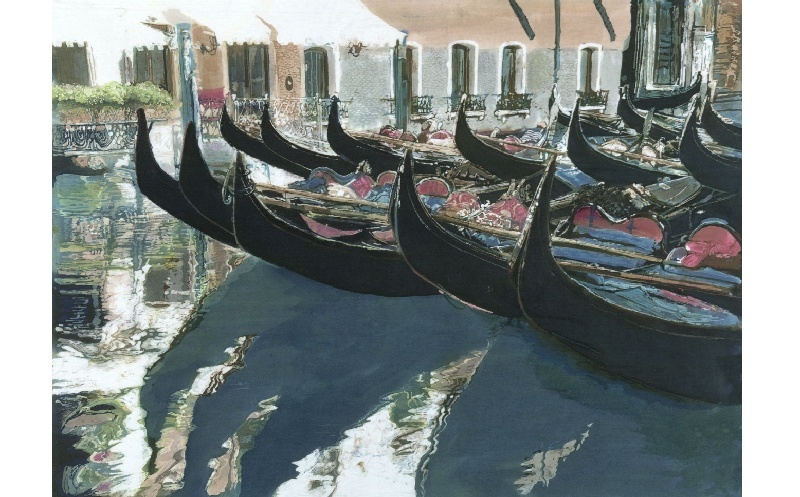 A large batik painting of gondolas moored at the edge of a Venetian canal with the reflections of the boats and buildings in the water. I love doing batiks of reflections and when a friend of mine sent me this photograph which he'd taken, I decided to rise to the challenge. The whole picture took me at least a month to complete as I wanted to capture the many subtle colours and details of the ripples, balconies, buildings and boats. 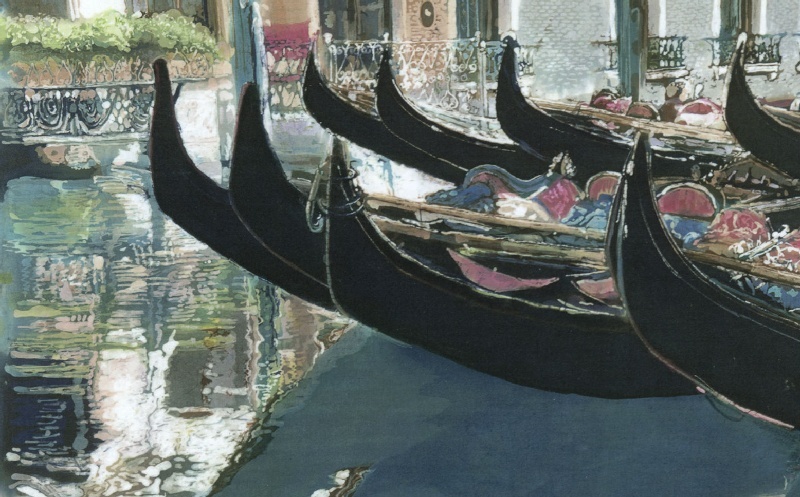 There is something magical about Venice which is why I enjoy producing different scenes of the city.